Google has long had a “creepy line” that it likes to approach without actually crossing. 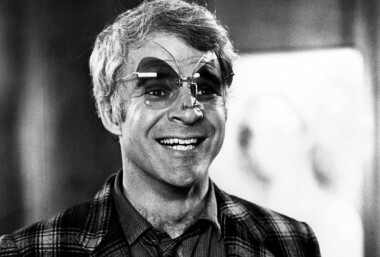 But with its new Google Glass, it’s really tottering on the edge. That’s the gist of Eric Schmidt’s latest comments on Google’s forthcoming facephone, whose launch the company is approaching with quite a bit of circumspection. Speaking at an event Thursday at Harvard University’s Kennedy School of Government, Schmidt said Glass requires a rethinking of social etiquette, and a heavy curative hand from Google with Glass app developers. Seriously? Wearing Google Glass AT a urinal? That part of some off the books, scatological 20% project? OK Glass! Wise move, and not just from a public relations standpoint, but from a regulatory one, as well. If Glass draws the same sort of scrutiny as Street View, even a single privacy misstep could very quickly turn into a grueling nightmare. Certainly a legitimate concern, given Google’s history.